Researchers from the University of California, Riverside recently combined photosynthesis and physics to make a key discovery that could lead to highly efficient solar cells. Nathan Gabor, a physicist, began exploring photosynthesis when he asked himself a fundamental question in 2010: Why are plants green? This question probed him to combine his physics training with biology. Over the past six years, Gabor has been rethinking energy conversion in light of these questions. His goal was to make solar cells that more efficiently absorb intermittent energy from the sun and increase past the current 20 percent efficiency. In this, he was inspired by the plants that had evolved over time to do exactly what he hoped solar cells would be able to do. [The scientists] addressed the problem by designing a new type of quantum heat engine photocell, which helps manipulate the flow of energy in solar cells. The design incorporates a heat engine photocell that absorbs photons from the sun and converts the photon energy into electricity. At the core of the research, Gabor and his team are looking to connect quantum mechanical structure to the greenest plants. An interdisciplinary team of researchers based out of the University of Illinois at Chicago believes they may have just changed the game in solar cell technology. According to the recently published study, the team promises a solar cell that not only harvests energy, but cheaply and efficiently transforms atmospheric carbon dioxide into useable hydrocarbon fuel – all with a little help from the sun. The new development differs from typical solar technology, where the cells convert sunlight into energy to be stored in batteries or other energy storage devices. 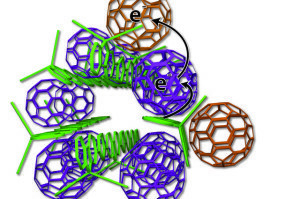 Instead, the new research uses solar cells in a way similar to organic photosynthesis, just amplified. By capturing dangerous greenhouse gases and converting them into alternative, clean fuels, the researchers believe a farm full of these “artificial leaf” solar cells could begin to significantly reduce the amount of carbon dioxide in the environment and help shift the energy landscape toward more green alternatives. MIT researcher have developed the first steps to creating the thinnest, lightest solar cell ever made. Through a unique fabrication method, the researchers are moving toward the development of a solar cell so thin it could blow away. Instead of a solar cell’s typical makeup, the MIT researchers have opted for a unique fabrication of creating each layer at the same time. Solar cells are typically made up of layers of photovoltaic materials and a substrate, such as glass or plastic. 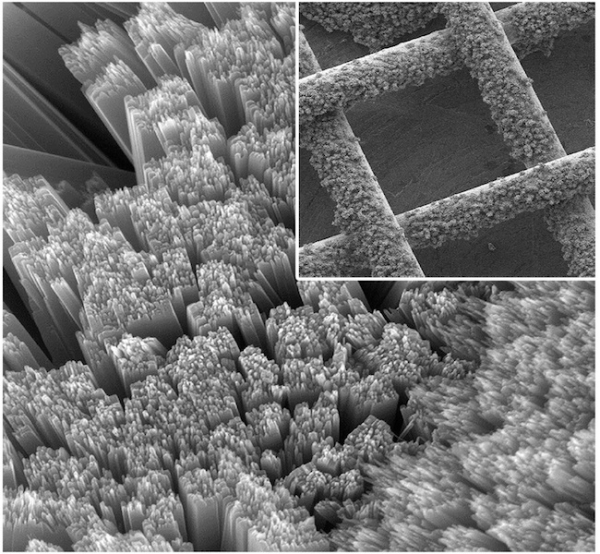 Instead of the usual method of fabricating each layer separately, and then depositing the layers onto the substrate, the MIT researchers made all three parts of their solar cell (the cell, the supportive substrate, and the protective coating) at the same time, a method that cuts down on performance-harming contaminants. In the demonstration, the substrate and coating are made from parylene, which is a flexible polymer, and the component that absorbs light was made from dibutyl phthalate (DBP). The researchers note that the solar cell could be made from a number of material combinations, including perovskite, and it could be added to a variety of surfaces such as fabric or paper. To put the thinness of the solar cell in perspective, it is approximately 1/50th the thickness of a strand of hair. The light weight means that its power-to-weight ratio is particularly high, with an efficiency output of about 6 watts per gram (400 times higher than silicon-based solar cells). The final trial for the researcher will be to translate the lab work to the real world, making it scalable and practical for commercial use. The development of ultralight, ultrathin solar cells is on the horizon due to a new semiconductor call phosphorene. A team of researchers from Australian National University have developed an atom-thick layer of black phosphorus crystals through a process that utilizes sticky tape. “Because phosphorene is so thin and light, it creates possibilities for making lots of interesting devices, such as LEDs or solar cells,” said lead researcher Dr. Yuerui (Larry) Lu. The fabrication of this phosphorene is similar to that of graphene, bringing the new material to a thickness of just 0.5 nanometers. With phosphorene’s novel properties, doors are opening for a new generation of solar cells and LEDs. 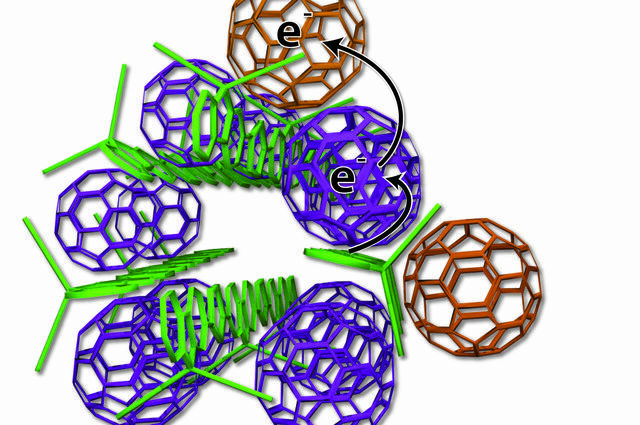 The new arrangement of photovoltaic materials includes bundles of polymer donors (green rods) and neatly organized fullerene acceptors (purple, tan). A team of UCLA scientists are delivering good news on the solar energy front with the development of their new energy storage technology that could change the way scientists think about solar cell design. 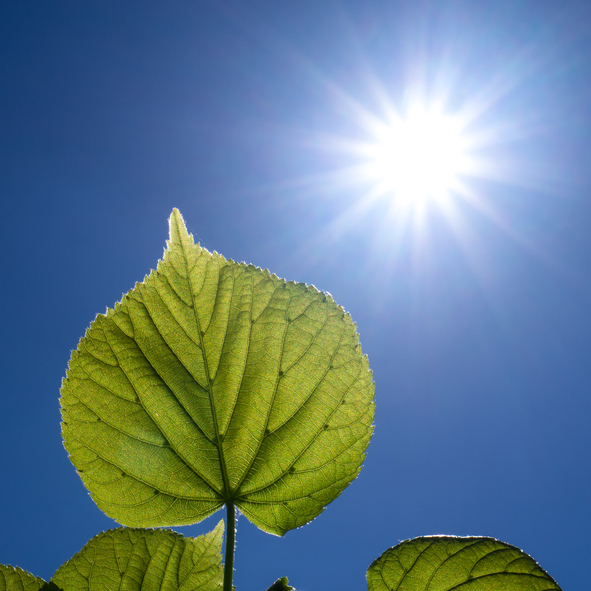 Taking a little inspiration from the naturally occurring process of photosynthesis, the researchers devised a new arrangement of solar cell ingredients to make a more efficient cell. “In photosynthesis, plants that are exposed to sunlight use carefully organized nanoscale structures within their cells to rapidly separate charges — pulling electrons away from the positively charged molecule that is left behind, and keeping positive and negative charges separated. That separation is the key to making the process so efficient,” said Sarah Tolbert, senior author of this research and published ECS author. 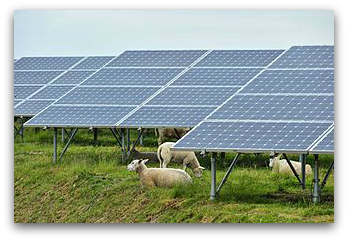 The currently dilemma in solar cell design revolves around developing a product that is both efficient and affordable. While conventional silicon works rather well, it is too expensive to be practical on a large scale. More engineers and researchers have been moving to replace silicon with plastic, but that leads to efficiency levels taking a hit. With climate change being a continually rising global dilemma, many scientist have turned their attention to research in the area of renewable energy sources. Even with some of the most brilliant minds working on improving efficiency and price of solar cells, they are still not widely used due to the high cost of materials used to develop the them. Now, a scientist may be on the path to cracking the code on material prices of solar cells by using nanotechnology. Elijah Thimsen, assistant professor at the School of Engineering & Applied Science at Washington University in St. Louis, worked in conjunction with a team of engineers at the University of Minnesota to develop a technique to increase the performance of electrical conductivity. The new solar battery stores power by “breathing” air to decompose and re-form lithium peroxide. Is it a solar cell? Is it a rechargeable battery? Well, technically it’s both. The scientists at Ohio State University have developed the world’s first solar battery that can recharge itself using light and air. The findings from the patent-pending device were published in the October 3, 2014 issue of the journal Nature Communications. 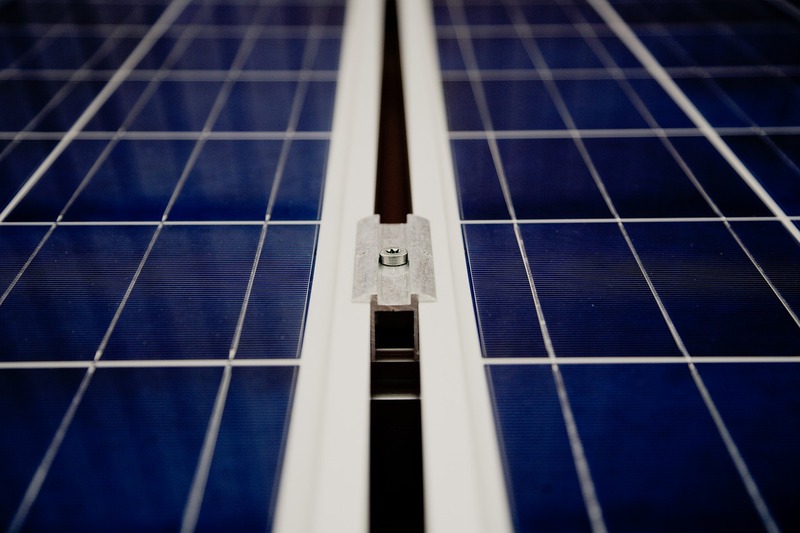 The university plans to license the solar battery to industry. The device also tackles the issue of solar energy efficiency by eliminating the loss of electricity that normally occurs when electrons have to travel between a solar cell and an external battery. Where typically only 80 percent of electrons make it from the solar cell into the battery, the new solar battery saves nearly 100 percent of electrons. Want to know more about what’s going on with solar batteries? 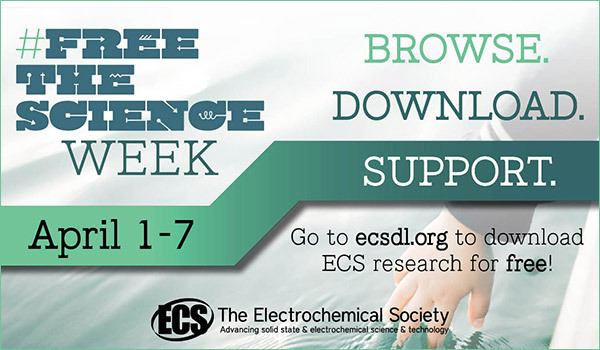 Check out the latest research in ECS’s Digital Library and find out what our scientists think the future looks like.